On a Monday afternoon in 1995 during Nigeria’s rainy season, Paul Utu, the eldest of three children, leaves home and does not return. 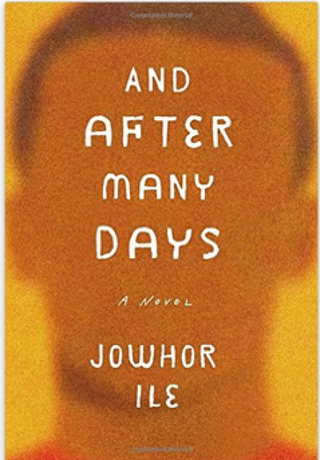 Thus begins Jowhor Ile’s highly anticipated debut novel, And After Many Days. Jowhor Ile, the 10th child of Nigerian parents, was born and raised in Port Harcourt, Nigeria, and now makes his home in London and Nigeria. Ile’s work has already been lauded by acclaimed writers of the global Diaspora such as Taiye Selasi, author of Ghana Must Go; Uzodinma Iweala, author of Beasts of No Nation; and award-winning author Chimamanda Ngozi Adichie. At first, Paul’s absence is met with stoic optimism by his family. “By the evening of the day Paul disappeared, there was some concern regarding where he might be, but everyone believed he was on his way back, that he would show up at any minute,” Ile writes. Paul was just briefly detained, his parents think. But as the family’s efforts to find Paul—searches, police involvement, prayers, radio announcements, rewards—reap no results, Paul’s lingering absence begins to tear his family apart. On the morning of his disappearance, Paul, saying he was going to visit a friend next door, had “floundered by the door as though he had changed his mind; then he bent to buckle his sandals, slung on his back-pack, left the house, and did not return,” Ile writes. The reader marks the careful phrasing of Ile’s language and wishes only to tell Paul to stop, don’t go; wishes Paul had truly changed his mind in that moment of floundering indecision and had not buckled his shoes and gone out after all. But where did Paul go? Did he truly visit his friend? Did he go somewhere else? Was he met with a violent accident? Did he plan to run away? This last suggestion, however, everyone feels is clearly impossible. While Ajie, the youngest brother, made up for his “sibling’s good behavior” by “frequently fighting, reading novels during lessons and perpetually making noise,” Paul was “always the exemplary first born.” Paul, the eldest child, was the golden boy, the one who did the best in school; was effortlessly popular with his friends and respectfully pleasing to his parents. He was about to begin his studies at university and was the one destined for great things. In haunting, poetic language, Ile crafts a portrayal of a family grappling with the loss of a child. The characters are vivid and well drawn, full of the inconsistencies and moments of grace that make us human. The novel cuts across past and present, setting up the relationship dynamics between siblings as children in the past and then grown older, in the present. In the past storyline, we see how Bibi, up until she was 9 and Ajie was 7, “would unleash her rage like a whirlwind” against Ajie, and Paul would be forced to play peacemaker between his younger siblings. We see, too, how Paul and Ajie would climb trees, dodging the tree snakes that hid within, waiting for prey. We see the children’s early life at boarding school; we see their visits to grandparents, aunts and uncles in their father’s childhood village, learning the myths and stories of their culture. We see, too, the children’s parents: their education in England, their return home to Nigeria and their friends who were lost in the Nigerian Civil War—the long shadow of violence that haunts the present narrative. What is revealed, as the novel progresses, is the connection between Paul’s disappearance and ongoing political violence in Nigeria. “You have that maniac in power, murdering ordinary citizens, people are disappearing every day,” Mr. Ifenwa, a friend of the children’s parents, exclaims one night, overcome with the political situation in their country. Skillfully, Ile writes a profound commentary on the lives of innocents who are caught up as collateral damage in the violence created by a nation’s uneasy regime. Intertwining social analysis with family drama set against a backdrop of political unrest, Ile proves himself a master storyteller. Here is a novelist who will undoubtedly become one of the foremost voices in contemporary literature.